Proudly serving the beautiful area of Brandon, MS, Cerami AC & Heating is a full service HVAC contractor dedicated to offering professional and affordable AC and heating services. 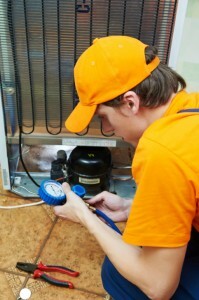 Cerami AC & Heating maintains a high standard of quality for all the services we offer. Listening is our most valuable tool when working with our residential and commercial customers. We guarantee quality work for jobs of all sizes – large or small. Whether you are looking for a heating or air conditioning repair, installation or maintenance, we pay attention to the details and take no shortcuts. Our experts do the job right while offering you professionalism and excellent value. When performing a service, our outstanding troubleshooting skills and experience allow us to locate HVAC issues easily, and we carry most common parts to facilitate a speedy repair. We purchase all our equipment and parts directly from the manufacturer. All our technicians have been hand-selected for skills, work-ethic, experience and courtesy. We will never add any hidden fees or charges. Our experts will get the job done right, first time. We are dedicated to your complete satisfaction. For more information, give us a call today at (601) 317-0729 and let us add you to our long list of happy clients.